Everyone knows that true beauty is on the inside and that their outer appearance should not determine how they feel about themselves or how they are treated. Yet, it really is much easier to feel confidant, strong and capable when you are looking your best. Any blemish has the power to zap the confidence out of even the most accomplished person. Discovering a fever blister when looking in the mirror just makes people want to hide away until the sore is gone. It may be impossible to ever guarantee someone they will never have to worry about this skin issue again, but understanding what causes fever blisters and knowing how to eliminate them quickly is the best way to reduce the risk. 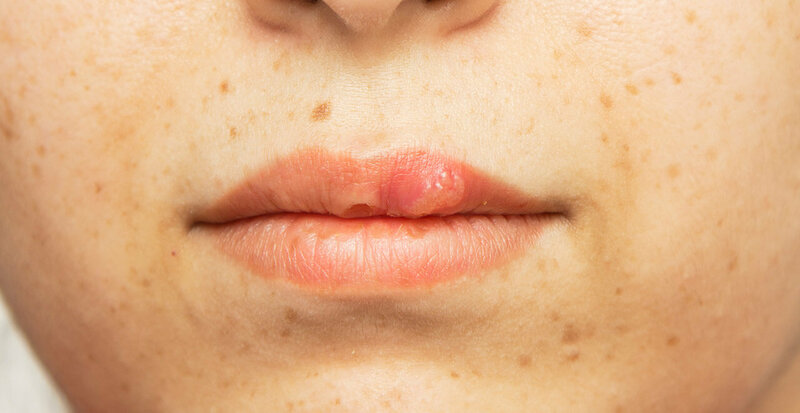 The term “fever blister” is just another name for the common cold sore. It is a tight grouping of small blisters filled with clear fluid. The sores are almost always located on the face and usually adjacent to the lips. They are caused by the herpes virus, but are a different strain from the STD version. Many people refer to them with this name because their body is susceptible to them the most when they are sick with a cold or the flu. The individuals who get them when they are sick may not experience them any other time. HSV-1 is the herpes strain that leads to cold sores (fever blisters). This virus is extremely contagious and remains in the body forever once someone has been exposed. 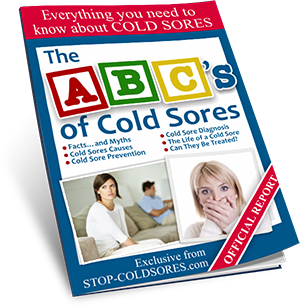 It is estimated that as much as 90 percent of American adults have this virus in their system, but not everyone will experience cold sores. It is not known why this is the case, but there are many known causes of what leads to an outbreaks. Illness is a cause because the immune system is weaker when it is fighting off an illness. Stress and dietary deficiencies also are common causes. Hormonal changes, sun exposure and contact with someone with a cold sore may also lead to an outbreak. There is no cure for cold sores because there is no way to remove the virus from the body. This is a chronic condition that will remain for life once the virus has been contracted. However, it is not a serious physical ailment that needs to reduce the quality of life. Cold sores are embarrassing, but there are ways to control outbreaks and heal sores faster. Prescription drugs, drug store medications and homeopathic treatments offer some relief from discomfort and may heal the cold sore faster. Preventing reoccurring cold sores or reducing the number that grow is aided by identifying individual triggers and addressing that specific issue. Stopping one from developing is harder. The only method that has shown proven preventative results through professional research studies is with The Inhibitor device.